Take care of all the details and the laws of cause and effect will take care of themselves. The first RRSP — then called a registered retirement annuity — was created by the federal government in 1957. Back then, Canadians could contribute up to 10 per cent of their income to a maximum of $2,500. RRSPs still remain one of the cornerstones of retirement planning for Canadians. In fact, as employer pension plans become increasingly rare, the ability to save inside an RRSP over the course of a career can often make or break your retirement. The deadline to make RRSP contributions for the 2018 tax year is March 1st, 2019. Anyone living in Canada who has earned income has to file a tax return which will create RRSP contribution room. Canadian taxpayers can contribute to their RRSP until December 31st of the year he or she turns 71. Contribution room is based on 18 percent of your earned income from the previous year, up to a maximum contribution limit of $26,230 for the 2018 tax year. Don’t worry if you’re not able to use up your entire RRSP contribution room in a given year – unused contribution room can be carried-forward indefinitely. Keep an eye on over-contributions, however, as the taxman levies a stiff 1 percent penalty per month for contributions that exceed your deduction limit. The good news is that the government built-in a safeguard against possible errors and so you can over-contribute a cumulative lifetime total of $2,000 to your RRSP without incurring a penalty tax. Find out your RRSP deduction limit on your latest notice of assessment clearly stated. You can claim a tax deduction for the amount you contribute to your RRSP each year, which reduces your taxable income. However, just because you made an RRSP contribution doesn’t mean you have to claim the deduction in that tax year. It might make sense to wait until you are in a higher tax bracket to claim the deduction. When should you contribute to an RRSP? When your employer offers a matching program: Some companies offer to match their employees’ RRSP contributions, often adding between 25 cents and $1.50 for every dollar put into the plan. Take advantage of this “free” gift from your employers. When your income is higher now than it’s expected to be in retirement: RRSPs are meant to work as a tax-deferral strategy, meaning you get a tax-deduction on your contributions today and your investments grow tax-free until it’s time to withdraw the funds in retirement, a time when you’ll hopefully be taxed at a lower rate. So contributing to your RRSP makes more sense during your high-income working years rather than when you’re just starting out in an entry-level position. A good rule of thumb: Consider what is going to benefit you the most from a tax perspective. When you want to take advantage of the Home Buyers’ Plan: First-time homebuyers can withdraw up to $25,000 from their RRSP tax-free to put towards a down payment on a home. Would-be buyers can also team up with their spouse or partner to each withdraw $25,000 when they purchase a home together. The withdrawals must be paid back over a period of 15 years – if you do not pay one fifteenth of the borrowed money, the amount owed in that calendar year it will be added to your taxable income for that year. Unless it’s an emergency then it’s generally a bad idea to withdraw from your RRSP before you retire. You would have to report the amount you take out as income on your tax return. You won’t get back the contribution room that you originally used. Also, your bank will hold back taxes – 10 percent on withdrawals under $5,000, 20 percent on withdrawals between $5,000 and $15,000, and 30 percent on withdrawals greater than $15,000 – and pay it directly to the government on your behalf. That means if you take out $20,000 from your RRSP, you will end up with $14,000 but you’ll have to add $20,000 to your taxable income at tax time. This is done to insure that you pay enough tax upfront for the withdrawal at the source so that you are not hit with an additional tax bill (assessment) when you file your tax return. What kind of investments can you hold inside your RRSP? A common misconception is that you “buy RRSPs” when in fact RRSPs are simply a type of account with some tax-saving attributes. It acts as a container in which to hold all types of instruments, such as a savings account, GICs, stocks, bonds, REITs, and gold, to name a few. You can even hold your mortgage inside your RRSP. If you hold investments such as cash, bonds, and GICs then it makes sense to keep them sheltered inside an RRSP because interest income is taxed at a higher rate than capital gains and dividends. A new year means new limits and data. Here’s a list of new financial planning data for 2018 (In case you want to compare this to past years, I’ve included old data as well). If you need any help with your rrsp deposits or clarification on other retirement issues please do not hesitate to contact Henley Financial and Wealth Management, we are here to ensure your financial success. The new limit for RRSPs for 2018 is 18% of the previous year’s earned income or $26,230 whichever is lower less the Pension Adjustment (PA). Remember that contributions made in January and February of 2018 can be used as a tax deduction for the 2017 tax year. Do Spousal RRSPs still make sense? The TFSA limit for 2018 is $5,500. TFSA or RRSP: Why not do both? Lots of changes are happening with CPP but here’s some of the most important planning data. Reduction of CPP for early benefit – 0.6% for every month prior to age 65. At age 60, the reduction is 36%. How much will you get from Canada Pension Plan in Retirement? Will Canada Pension Plan (CPP) be there when you retire? The OAS Clawback (recovery) starts at $74,788 of income. At $121,720 of income OAS will be fully clawed back. For 2018, the tax rates have changed. As I was looking through past articles I saw this and was intrigued. There are many who will do well when they “downsize” their family home as the article states. But with the cost of housing even for a smaller home or condo on the rise the nest egg is becoming much smaller for the younger (45 -55) home owner. My thoughts are simple, if you have a Million dollar home that you want to sell and downsize to a $500,000 home. You probably don’t need to worry about your retirement fund, you will have the money you require to live a wonderful life. Unfortunately everyone does not own a million dollar home, and everyone will not be able to “down size” to a smaller home at half the cost of their present home. Baby Boomers will be able to take advantage of today’s real estate market. But generations X, Y and Z will need a better plan for the future. 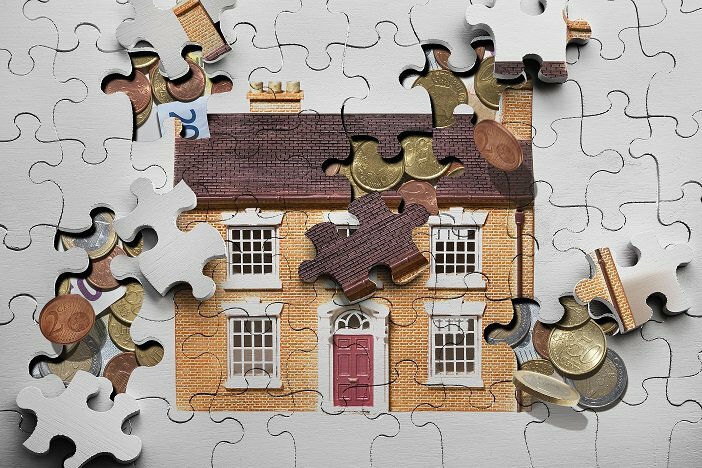 Everyone requires a solid financial plan your financial plan can, and should include downsizing the family home. Which economically, physically and mentally, will make sense as you grow older. But again as the article states this is only a piece of the puzzle. As you read the article, if you have any questions, or require any help with your financial plan please contact us at Henley Financial and Wealth Management . A disturbing number of people are building their retirement plans on a weak foundation – their homes. Years of strong price gains in some cities have convinced some people that real estate is the best vehicle for building wealth, ahead of stocks, bonds and funds. Perhaps inevitably, there’s now a view that owning a home can also pay for your retirement. Don’t buy into the group-think about home ownership being the key to wealth. Except in a few circumstances, the equity in your home won’t pay for retirement. You will sell your home at some point in retirement and use the proceeds to buy your next residence, be it a condo, townhouse, bungalow or accommodation at a retirement home of some type. There may be money left over after you sell, but not enough to cover your long-term income needs in retirement. In a recent study commissioned by the Investor Office of the Ontario Securities Commission, retirement-related issues topped the list of financial concerns of Ontario residents who were 45 and older. Three-quarters of the 1,516 people in the survey own their own home. Within this group, 37 per cent said they are counting on increases in the value of their home to provide for their retirement. The survey results for pre-retirees – people aged 45 to 54 – suggest a strong link between financial vulnerability and a belief in home equity as a way to pay for retirement. Those most likely to rely on their homes had larger mortgages, smaller investment portfolios, lower income and were most often living in the Greater Toronto Area. They were also the least likely to have started saving for retirement or have any sort of plan or strategy for retirement. The OSC’s Investor Office says the risk in using a home for retirement is that you get caught in a residential real estate market correction that reduces property values. While housing has resisted a sharp, sustained drop in prices, there’s no getting around the fact that financial assets of all types have their up and down cycles. Take out a reverse mortgage or use a home equity line of credit, which means borrowing against your home equity. A lot of people want to live large in retirement, which can mean moving to a more urban location and buying something smaller but also nicer. With the boomer generation starting to retire, this type of housing is in strong demand and thus expensive to buy. Prediction: We will see more people who take out mortgages to help them downsize to the kind of home they want for retirement. Selling your home and renting will put a lot of money in your hands, but you’ll need a good part of it to cover future rental costs. As for borrowing against home equity, it’s not yet something the masses are comfortable doing. Sales of reverse mortgages are on the rise, but they’re still a niche product. Rising house prices have made a lot of money for long-time owners in some cities, but not enough to cover retirement’s full cost. So strive for a diversified retirement plan – some money left over after you sell your house, your own savings in a tax-free savings account and registered retirement savings plan, and other sources such as a company pension, an annuity, the Canada Pension Plan and Old Age Security. Pre-retirees planning to rely on their home at least have the comfort of knowing they’ve benefited from years of price gains. Far more vulnerable are the young adults buying into today’s already elevated real estate markets. They’re much less likely to benefit from big price increases than their parents were, and their ability to save may be compromised by the hefty mortgages they’re forced to carry. Whatever age you are, your house will likely play some role in your retirement planning. But it’s no foundation. You have to build that yourself. I’ve been asked many times about the taking your Canada Pension Plan (or CPP) early. It’s one of the issues facing seniors and income management of their retirement funds, my conclusion is that it makes sense to take CPP as early as you can in most cases. Again there are a number of factors that can determine this process and they should be considered. We can help you understand which makes the most sense for you. Contact us at Henley Financial & Wealth Management. 1) When will you retire? Under the old rules, you had to stop working in order to collect your CPP benefit. The work cessation rules were confusing, misinterpreted and difficult to enforce so it’s probably a good thing they are a thing of the past. Now you can start collecting CPP as soon as you turn 60 and you no longer have to stop working. The catch is that as long as you’re working, you must keep paying into CPP even if you are collecting it. The good news is that paying into it will also increase your future benefit. 2) How long will you live? This is a question that no one can really answer so assume Life Expectancy to be the age factor when considering the question. At present a Male has a life expectancy of 82 and a female has a life expectancy of 85. These vales change based on lifestyle and health factors but it gives us a staring point. Under the old rules, the decision to collect CPP early was really based on a mathematical calculation of the break-even point. Before 2012, this break-even point was age 77. With the new rules, every Canadian needs to understand the math. If you qualify for CPP of $502 per month at age 65, let’s say you decide to take CPP at age 60 at a reduced amount while instead of waiting till 65 knowing you will get more income by deferring the income for 5 years. Under Canada Pension Plan benefits, you can take income at age 60 based on a reduction factor of 0.6% for each month prior to your 65th birthday. Therefore your benefit will be reduced by 36% (0.6% x 60 months) for a monthly income of $321.28 starting on your 60th birthday. Now fast-forward 5 years. You are now 65. Over the last 5 years, you have collected $321.28 per month totalling $19,276.80. In other words, your income made until age 60 was $19,276.80 before you even started collecting a single CPP cheque if you waited until age 65. That being said, at age 65 you are now going to get $502 per month for CPP. The question is how many months do you need to collect more pension at the age of 65 to make up the $19,276.80 you are ahead by starting at age 60? With simple math it will take you a 109 months (or 9 years) to make up the $19,276.80. So at age 74, you are ahead if you start taking the money at age 60, you start to fall behind at age 75. The math alone is still a very powerful argument for taking CPP early. 3) When will need the money? When are you most likely to enjoy the money? Before the age 74 or after age 74, for most people, they live there best years of their retirement in the early years. Therefore a little extra income in the beginning helps offset the cost of an active early retirement. Some believe it’s better to have a higher income later because of the rising costs of health care and this is when you are most likely to need care. Whatever you believe, you need to plan your future financial security. It is hard to know whether you will become unhealthy in the future but what we do know is most of the travelling, golfing, fishing, hiking and the things you want to do and see are usually done in the early years of retirement. 4) What happens if you delay taking your CPP? Let’s go back to age 60 you could collect $321.28 per month. Let’s you decide to delay taking CPP by one year to age 61. So what’s happens next? $3,855.36 from her CPP ($321.28 x 12 months), but chose not to, so you are able to get more money in the future. That’s fine as long as you live long enough to get back the money that you left behind. Again, it comes back to the math. For every year you delay taking CPP when you could have taken it, you must live one year longer at the other end to get it back. By delaying CPP for one year, you must live to age 75 to get back the $3,855.36 that you left behind. If you delay taking CPP until 62, then you have to live until 76 to get back the two years of money you left behind. Why wouldn’t you take it early given the math? The only reason I can think of is that you think you will live longer and you will need more money, as you get older. Any way the math adds up… you can always take the money early and if you don’t need it put it in a TFSA and let it make interest. You can use it later in life if you choose. A tax-free compounding account… In your portfolio that may have been over looked – $52,000 for each spouse to be exact, start planning now! The tax-free savings account (TFSA) is starting to grow up. Introduced in the 2008 federal budget and coming into effect on Jan. 1, 2009, the TFSA has become an integral part of financial planning in Canada, with the lifetime contribution limit now set to reach $52,000 in 2017. Start taking advantage of this savings today. Remember when you thought $5,000 did not amount to much as an investment. If you had taken advantage of this program you could have another $60,000 to $70,000 for each husband and wife invested in savings today. That’s $120,00 -$140,000 of Tax free Value based on the average market return since 2009. Used correctly the TFSA can supplement income lowering your tax base during retirement. The gain made in a TFSA is tax-free, and therefore so are withdrawals — Did you know? That the money coming out of the account does not count as income in terms of the clawback for Old Age Security, which starts at $74,780 in 2017. The TFSA has also become a great vehicle for dealing with a sudden influx of wealth. For people who downsize and sell their house or receive an inheritance, this money is already tax-free. Do not make it taxable in the hands of the government again. Contact me for more information regarding this and other investments that have been overlooked. It never hurts to get a second opinion regarding your future. A tax-free compounding account… In your portfolio that has been overlooked. The tax-free savings account is starting to grow up. Introduced in the 2008 federal budget and coming into effect on Jan. 1, 2009, the TFSA has become an integral part of financial planning in Canada, with the lifetime contribution limit set to reach $52,000 in 2017, provided you were 18 at the time it came into existence. Remember when you thought $5,000 did not amount to much as an investment. You would have another $60,000 to $70,000 for each husband and wife if you have been maximizing their contribution and based on the market’s return since 2009. Used correctly the TFSA can supplement income lower your tax base during retirement. As the gains made in the TFSA are tax-free, and so are withdrawals —Did you know that the money coming out of the account does not count as income in terms of the clawback for Old Age Security, which starts at $74,780 in 2017. The TFSA has also become a great vehicle for dealing with a sudden influx of wealth. For people sell their house or receive an inheritance. That money is already tax-free you don’t want to make it taxable in the hands of the government again. With that in mind, and the new year limit increase upon us, here are eight things Canadians need to know about TFSAs. How did we get to $52,000? The first four years of the program, the annual contribution limit was $5,000 but that increased to $5,500 in 2013 and 2014 under a formula that indexes contributions to inflation. The Tories increased the annual contribution limit to $10,000 in 2015 but the Liberals quickly repealed that when they came into power and reduced annual contributions to $5,500 for 2016, still indexed to inflation. The annual number increases in increments of $500 but inflation was not riding high enough to boost the annual figure to $6,000 for 2017 so we are stuck at $5,500. That brings us to the current $52,000. The good news is even if you’ve never contributed before, that contribution room kept growing based on the year in which you turned 18. For the most part, whatever is permitted in an RRSP, can go into a TFSA. That includes cash, mutual funds, securities listed on a designated stock exchange, guaranteed investment certificates, bonds and certain shares of small business corporations. You can contribute foreign funds but they will be converted to Canadian dollars, which cannot exceed your TFSA contribution room. As the TFSA limit has grown, so has the unused room in Canadians’ accounts. A poll from Tangerine Bank in 2014 found that even after the Tories increased the annual limit, a move that ended up as a one-time annual bump, 56 per cent of people were still unaware of the larger contribution limit. In 2015, only about one in five Canadians with a TFSA had maximized the contribution room in their account, according to documents from the Canada Revenue Agency. For the most part, you can withdraw any amount from the TFSA at any time and it will not reduce the total amount of contributions you have already made for the year. The tricky part is the repayment rules. If you decide to replace or re-contribute all or a portion of your withdrawals into your TFSA in the same year, you can only do so if you have available TFSA contribution room. Otherwise, you must wait until Jan. 1 of the next year. The penalty for over-contributing is 1 per cent of the highest excess TFSA amount in the month, for each month that the excess amount remains in your account. Is the Canada Revenue Agency still auditing TFSAs? The Canada Revenue Agency continues to investigate some Canadians — less than one per cent — who have very high balances in their accounts. Active traders in speculative products seem to be the main trigger. Expects an appeal of the current rules regarding TFSA investments to be heard in February. If a stock pays foreign dividends, you could find yourself subject to a withholding tax. While in a non-registered account you get a foreign tax credit for the amount of foreign taxes withheld, if the dividends are paid to your TFSA, no foreign tax credit is available. For U.S. stocks, while, there is an exemption from withholding tax under the Canada-U.S. tax treaty for U.S. dividends paid to an RRSP or RRIF, this exemption does not apply to U.S. dividends paid to a TFSA. What are people investing their TFSA in? People are still heavily into cash and close to cash holdings. A study from two years ago, found 44 per cent of holdings in TFSAs were in a high-interest savings accounts. Another 21 per cent were in guaranteed investment certificates. If you want to see your money grow you also have to respect your risk tolerance. You may want to look at your investment horizon. It’s hard to generalize which is better for a typical Canadian. RRSPs are generally geared towards reducing your taxable income when your marginal rate is high and then withdrawing the money in retirement when your income will theoretically be much lower. The answer is easy if you make $10,000 a year and you’re a young person — the TFSA is better — but the deduction you get from RRSP contributions are only part of the equation. It also depends on the flexibility that you are looking for. Once you get to the higher marginal rate that deduction is attractive but nothing stops you from taking that deduction and putting it in a TFSA and getting the benefit of both. After the last debate for the presidency of the United States of America, it’s hard to imagine that these are the best two candidates to lead a world power for at least the next four years. You would think with all the people in the political ring you would have someone who cares about our future generations and not about what happened 20 years ago and how that makes you unfit to lead. If having a skeleton in the closet means you will be called out when you run for office. Then you would never have a leader in the free world as we have all done something that would consider us unfit to lead a country. Henley Financial and Wealth Management brings you this article with consideration of what might happen moving forward. Predicting what will happen in the stock market is hard. Nope, scratch that. It’s pretty much impossible. But in light of the looming November vote, I took a look at what happened in the markets over the past few decades in relation to US presidential elections. However, before I get to that, I would like to emphasize that when it comes to markets, the past does not predict the future. And so I am not making any predictions here about what will happen on November 9, 2016, the morning after. What happens in the markets during the lame duck session between an election and the inauguration of the new president? The performance of the stock market between Election Day and Inauguration Day might be taken, in part, as a statement of investor confidence — or lack thereof — in the incoming administration. The line of thinking is that Republicans are better for the markets because they tend to push for more pro-business policies, such as lower taxes and less regulation. However, the stock market has historically performed better under Democratic presidents. American presidents since 1945 show the average annual gain under the blues (Democrats) was 9.7%, while under the reds (Republicans) was 6.7%. The only two presidents who saw negative market returns during their tenure were Republicans: Richard Nixon, who was in office during the Arab oil embargo, and George W. Bush, who closed out his second term as the Financial Meltdown in 2008. Taking it a step further, both poor and good stock performance in the year before or after an election had less to do with the president’s party and more to do with what was going on in the actual economy. As for Obama, he took office the year after stocks lost nearly 40%. And notably, days before stocks touched their lowest in March of 2009, the president stated, “What you’re now seeing is profit and earnings ratios are starting to get to the point where buying stocks is a potentially good deal if you’ve got a long-term perspective”. Stocks are up by about 209% since he said that. Is it because Obama was a great president and his policies changed the world? No the strong performance of the market from 2009, was not due to the election of President Obama and retention of a Democrat-controlled Congress in 2008. It resulted instead from a recovery in the economy after the Great Financial Crisis. So what does this mean for November 8? The result of that election is unlikely to have a major bearing on the performance of the US stock market. The markets don’t like uncertainty, as the market sees it, Hillary Clinton is a known player whose policies are expected to be largely a continuation of the current administration. Trump and his economic positions, however, are less predictable and do not always follow the party, he is for tax cuts and deregulation, but against free trade. Thus, he is perceived as more of a political risk in the market. That sort of emotional response to a political shock is actually quite typical of investor and, more broadly, human behavior. Unexpected and potentially destabilizing political events tend to make traders and investors nervous, which then sometimes leads to volatility in financial markets. But as history has shown time and time again, these events generally do not have a sustained impact on markets. Yes, investor sentiment in the immediate aftermath of the election can affect the market. And, yes, presidential policies affect the economy, which then, in turn, can affect the markets. However, there are a bunch of other factors not wholly connected to presidential policies — such as oil-price shocks, productivity shocks, and things like China’s devaluation of its currency — that all influence what happens with the stock market. In any case, perhaps the most telling historical debate with respect to the relationship between presidents and the stock market (or lack thereof) is the following. Stocks saw their best gains under Republican Gerald Ford — but he wasn’t elected president, and he wasn’t even the original vice president on Richard Nixon’s ticket in 1972. So whoever wins this circus act called the US presidential election of 2016, the markets will continue to perform based on solid economic performance until that performance is upended by a real economic event.